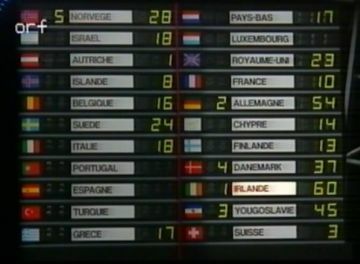 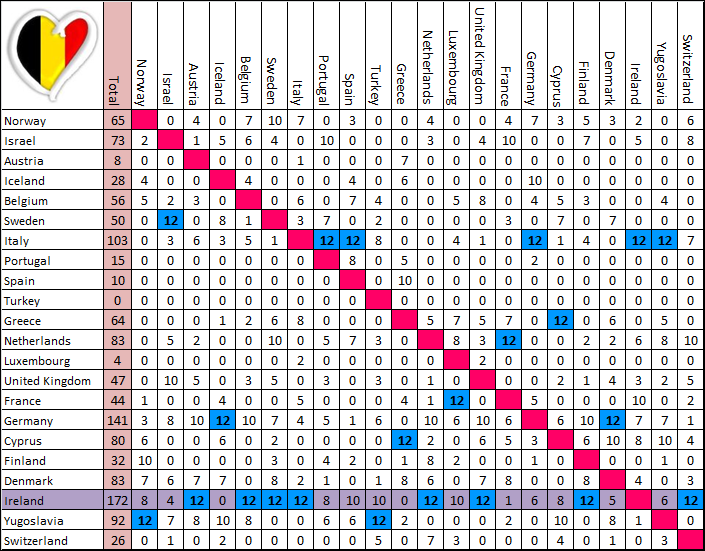 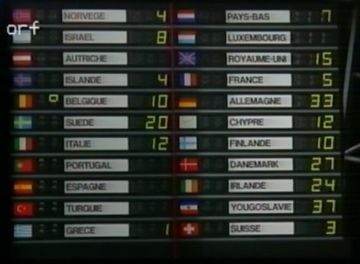 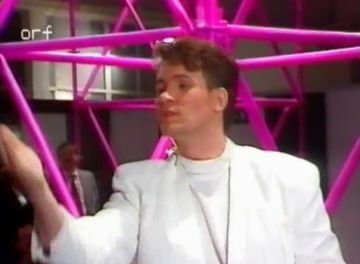 Norway was the first to vote, and they gave their 12 points to Yugoslavia (as seen in the first image). 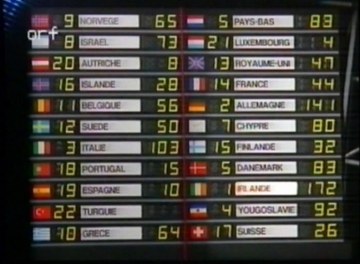 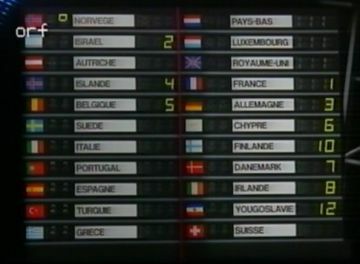 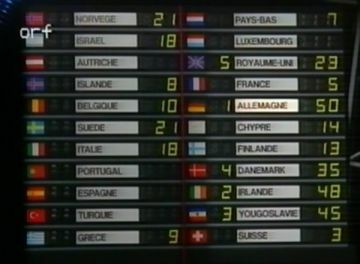 By the time the Israeli, Austrian and Icelandic juries had rendered their decisions, Yugoslavia had a pretty good lead with Germany, Denmark and Ireland fighting for the next three spots. 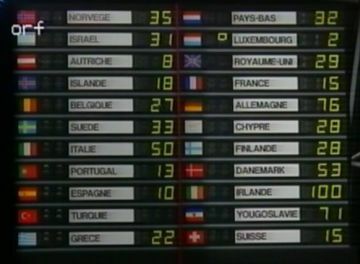 Yugoslavia in the lead...but for how long?